The GEO Geohazards Supersite initiative: improving science uptake in Disaster Risk Reduction (co-organized). “Safe Work on Dangerous Slopes” is featured in the March 2018 issue of Geotechnical News. 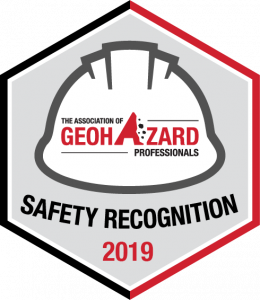 AGHP members John Duffy, Marc Fish, and Colby Barrett shared the association’s key safety initiative for the geotechnical field.